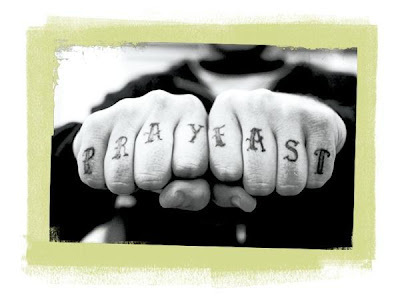 This week, I’m praying and fasting. I believe that our family is on the verge of something HUGE, and I am taking this week to seek God like never before. And I say all this not to try to come across like some spiritual discipline giant – I’m not. Seriously. I was the guy in seminary who fought and argued like crazy over the practice of fasting. Besides. I have a southern baptist background. How many southern baptist ministers do you know who understand what a diet is, much less a fast? Esther fasted to seek God’s favor in a time of crisis. Daniel fasted in order to gain clarity and focus of God’s vision for his life. Israel also fasted before going into a major battle. Jesus fasted for 40 days in the wilderness. And so I tell you that I will be fasting so you can pray for me and that God would give me the discipline and strength to seek Him more intensely than ever. I will not be blogging about how hungry I’ll get. (I see that as a digital equivalent of Matthew 6:16). But I will post something down the road about all that God shows me over this period.